Iceland has occassionally entered the Atlantis debates. 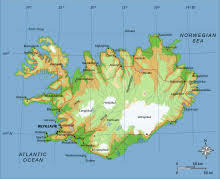 Jean Silvain Bailly and more recently Gilbert Pillot have identified Iceland with Ogygia. Some have linked the island with Thule or Hyperborea, while others see it as a remnant of a transatlantic landbridge. Harry Dale Huffman has similar ideas but believes that the landbridge also held Atlantis. A recent commentator, Johan Nygren, also consider Iceland to have been home to Atlantis(a) (b) , but, confusingly later decided that South America was Atlantis(c) . Pytheas was a 3rd century BC navigator from the Greek colony of Massalia (Marseilles) and is best known for his voyage in the north Atlantic, possibly around 240 BC. His trip took in the British Isles and as he ventured further north and claimed to have reached Thule. An assertion that has generated volumes of debate regarding Thule’s location. Pytheas described Thule as lying six day’s sail to the north of Britain. Iceland, Norway and the Faroes along with the Scottish Shetland and Orkney Islands have all been proposed as Thule. Rhys Carpenter devoted an interesting chapter of his Beyond the Pillars of Hercules in which he suggested that Pytheas’ voyage was undertaken with commercial objectives in mind, but on that level it was unsuccessful. However, as a voyage of discovery, it was an unparalleled achievement earning for Pytheas Carpenter’s accolade of ”antiquity’s Greatest Explorer”. Goti then moves on to Iceland, which he identifies as Thule and spends too much time describing a variety of unpronounceable locations there. He eventually heads for Greenland, which he contends must be Atlantis as it is greater than Libya and Asia combined, ignoring that Plato was referring to might rather than size. Goti posits the huge plain apparently described by Plato to have been situated in the centre of Greenland, ignoring the fact that ice cores dated to over 100,000 years have been identified there, and apart from which the huge island is not submerged. Felice Vinci, who clearly offered some inspiration to Goti, wrote the Foreword to the book and also provided Goti with an archaic Athens in Sweden! 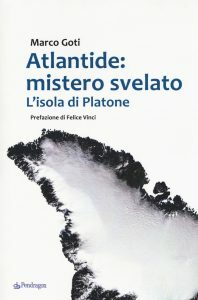 Goti decries other promoters of Atlantis theories for ignoring details in Plato’s account that don’t fit their particular ideas and then he moves Athens to Sweden, has Atlantis above water for hundreds of thousands of years, no elephants, no two annual crops and does not explain how Greenland Atlanteans controlled southern Italy as far as Tyrrhenia, all of which demands a thumbs down from me. 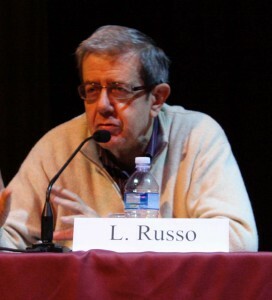 Lucio Russo (1944- ) is an Italian mathematician, physcist and science historian. In his 2013 offering L’ America dimenticata (The Forgotten America) he bravely suggests that America was discovered by the Phoenicians or the Carthaginians. He also claims that the longitude of the Lesser Antillies (known as the Isles of the Blest) was known precisely to Hipparchus (190-120BC), but that Ptolemy (90-168AD) later identified the Isles of the Blest with the Canaries and made a catastrophic error when he reduced the circumference of the Earth to 180,000 stadia from the nearly exact figure of 252,000 stadia calculated by Eratosthenes centuries earlier. Having unravelled Ptolemy’s error Russo was then able to locate the position of Thule on the coast of Greenland(a). 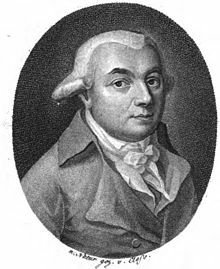 François-Pascal-Joseph Gosselin (1751-1830) was a French librarian and geographer. In 1813 he published the four-volume Recherches sur la géographie systématique et positive des anciens pour servir de base à l’histoire de la géographie ancienne, in which he expressed the view that Thule was another name for Mainland the largest of Scotland’s Shetland Islands. Volumes One(a) and Three(b) are available online. With regard to Atlantis he considered either Fuerteventura or Lanzarote in the Canaries to have been its location. Thule is the name given in ancient Greek and Roman literature for the most northerly part of the world. Around 300 BC the Greek navigator Pytheas claimed to have visited Thule, six days travel beyond Northern Britain. This may have been Iceland and in support of this idea a paper was submitted to the 2008 Atlantis Conferencein Athens by two Italian researchers, G. Giancarlo and M. Stucchi. In Germanic and Scandinavian traditions the name is applied to a long lost continent in the North Atlantic. Another candidate is the Estonian island of Saaremaa, which is also home to the (700BC (d) or 2000BC(b)) Kaali meteor crater field. Just over a century ago, an extreme nationalistic German secret society called Germanenorden was founded and after a few years a schism in its ranks led to the Munich branch adopting the cover name of Thule-Gesellschaft. Some of its members sought to link Thule with Atlantis and the Aryans with the Atlanteans using some of the ideas of Helena Blavatsky and Jean-Silvain Bailly(a). In 2013 Lucio Russo located Thule on the coast of Greenland, having identified errors in Ptolemy’s geographical calculations. 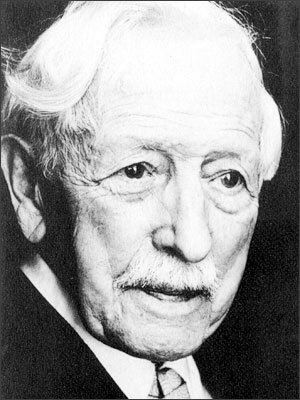 Karl Harrer, a member of the Thule Society along with the far-right politician Anton Drexler were founders of the German Workers Party (DAP) in 1919, two years later it changed its name to Nationalsozialistische Deutsche Arbeiterpartei, better known as the Nazi Party. The Thule Society faded with the establishment of the DAP, although there was a failed attempt to revive it in 1933. Claims that most leading Nazis had been members of the Thule Society seems to be a gross exaggeration, having only had Rudolf Hess a member for a brief period. The Arctic Region offers evidence of human activity as long as 45,000 years ago, 10,000 years earlier than previously thought, according to a report(f) in 2016. Of interest to us is that Spitzbergen was proposed as the location of Atlantis by the French astronomer Jean Silvain Bailly in the 18th century. In 1885 Dr. W. F. Warren,a former president of Boston University published a bookthat proposed that the cradle of the human race was situated at the North Pole and had been inundated at the time of the Deluge. Warren’s book can now be accessed on-line(d). Bal Gangadar Tilak, an Indian independence campaigner, was so impressed by Warren’s ideas that in his own book, Arctic Home in the Vedas, he chose to locate the lost Paradise of Airyana Vaejo in the Arctic. Modern Russian nationalism seems to have adopted some of the dafter notions of Nazi Germany including the idea of an Aryan master race, from which they claim to be descended, that was formerly located in the Arctic. It was revealed in 2016 that a former Nazi base had been discovered in the Arctic, which had been used to search for ancient artifacts(g). Such ideas are expounded by the new darling of Russian neo-fascism, Alexander Dugin, who likes to blend nationalism with mysticism. It is rather worrying that some elements of this nationalism have also adopted anti-semitism as part of their rhetoric(b). More recently Professor Sergey Teleguin has again drawn attention to Tilak’s work in an articlewhich identifies elements in the Mayan Popul Vuh, which suggest that its origins were in the far north, in Ultima Thule. He concludes with the thought that perhaps the Indo-European and Mayan ancestors came from the true North Pole! Teleguin has outlined his ideas further in an article for (Nov/Dec 2013) Issue 102 of Atlantis Rising magazine. Hermann Wirth (1885-1981) was a Dutch historian who became one of the co-founders of Himmler’s Ahnenerbe-SS. He was obsessed with Atlantis and sought to prove that it had existed in the North Atlantic where he believed that it had stretched from Iceland to the Azores. He thought that the only parts of Atlantis to remain above water after its submergence were Cape Verde and the Canary Islands. Wirth named this North Atlantic Atlantis, Thule after the ancient writer Pytheas. 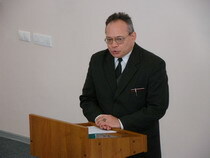 He also concluded that a pure monotheistic religion had originated in a common homeland, possibly Plato’s Atlantis(a). The Nazis who came to believe that the Aryan race had originated on Thule adopted the idea. Wirth also translated the controversial Oera Linda Book, using it to support the party line on Germanic origins(b). member of a number of learned societies. 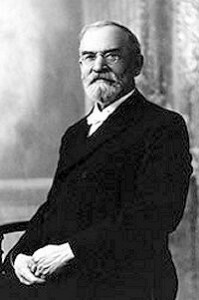 In 1885 he published a work in which he advanced the idea of the North Pole having held the cradle of the human race and that it was submerged in The Deluge. His book also touches on the possibility of a Pole Shift. Warren’s book can now be accessed on-line(a). Incidentally, it is recorded that a Rev. W. F. Warren presided at the wedding of ‘Wild Bill’ Hickock to Agnes Lake between 1869 and 1872! More recently Professor Sergey Teleguin has again drawn attention to Tilak’s work that identifies elements in the Mayan Popul Vuh that suggest that its origins were in the far north, in Ultima Thule. He concludes with the thought that perhaps the Indo-European and Mayan ancestors came from the true North Pole. Teleguin’s article although originally in Russian, was published, in Spanish, on an Argentinian website. Teleguin has written more extensively on a possible Arctic origin for civilisation in his 2011 book, Hyperborea – The Sacred Birthplace of Humanity: Scientific Reference Book (Russian).